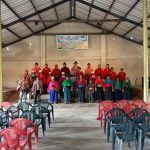 During the most recent trip in August 2017 of the Anglican Province of America’s (APA) Mission Team to Ecuador, the team visited a community near the town of Guamote in Chimborazo Province called San Miguel de Pomachaca. 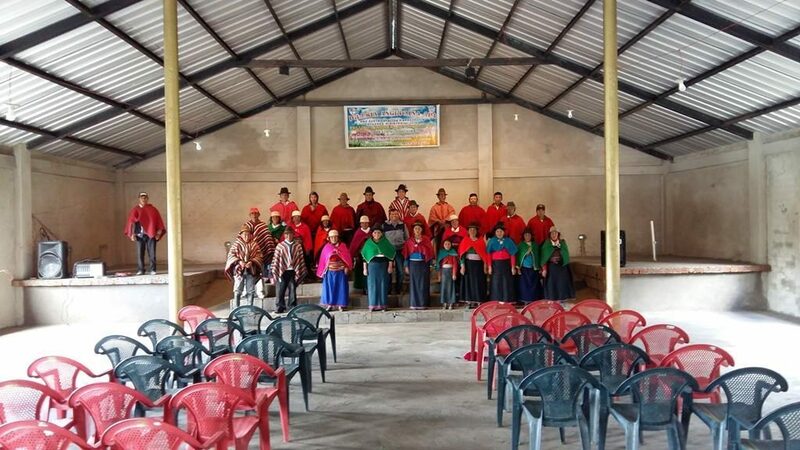 This community had recently chosen to become a part of the Indigenous Pastoral of the Anglican Province of America in Ecuador (IPAPAE). 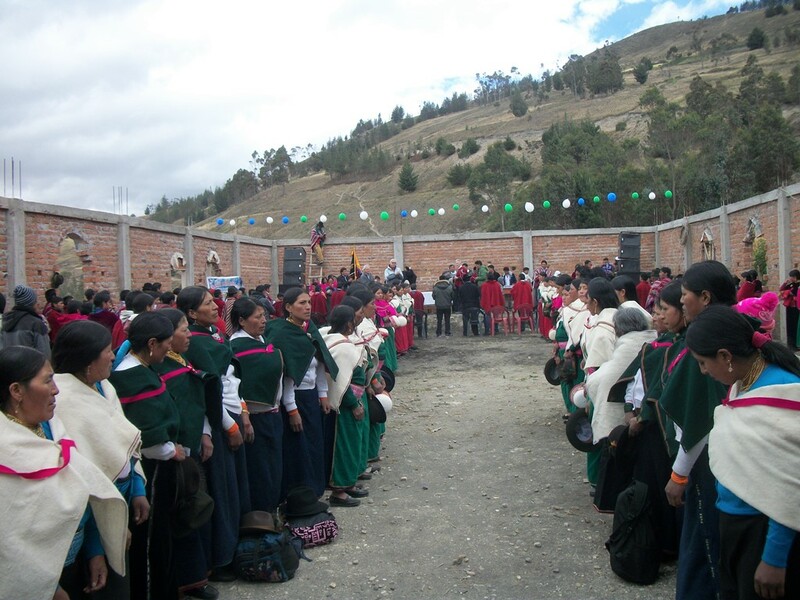 The community had previously been part of the Roman Catholic Church, Diocese of Riobamba. Several years ago, the community had built a church on community property in which to worship. 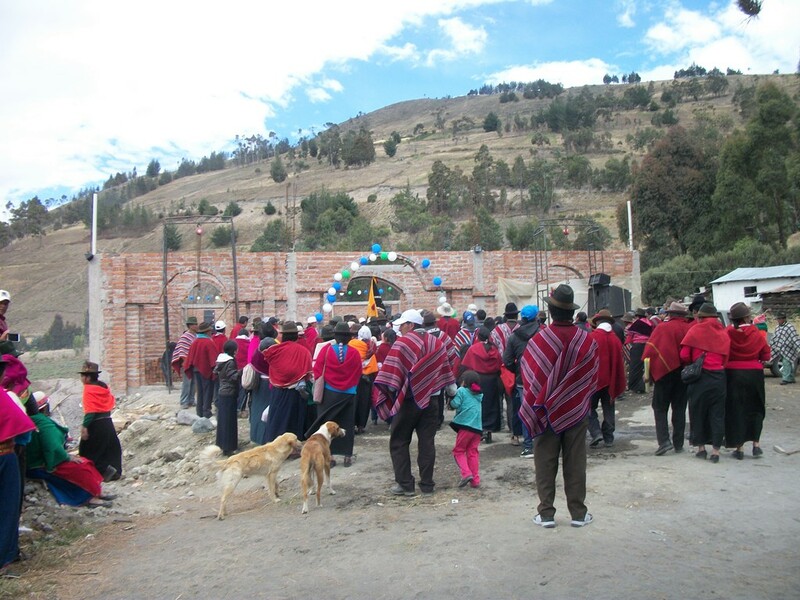 The people in the community had raised the money and built the building themselves. 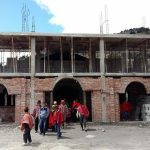 Five years ago, under pressure from the Roman Catholic Church, the community had agreed to sign the building over to the Roman Catholic Church, Diocese of Riobamba. In recent years the Roman Catholic Church has been unable to supply the church with a priest but had advised the community that they could have a priest visit their church to celebrate Holy Communion if they could pay $70 for each service. This arrangement and a lack of regular services in the community had led the community to affiliate with the Indigenous Anglican Church. 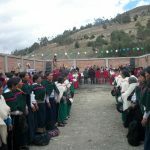 With the change in affiliation the community then requested permission from the Roman Catholic Bishop of Riobamba to continue to worship in their community church building but with an Anglican priest celebrating the Holy Communion. 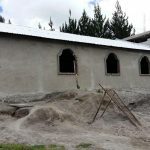 The Bishop of Riobamba denied the request and ordered the church to be locked and barred to prevent the community from having access to it. In response to this uncharitable act the community leaders arranged a community-wide meeting with the leaders of the Indigenous Anglican Church to discuss their predicament. After much prayer and discussion and a review of the situation, Fr. Luis Alberto Tuaza, senior priest of the group and one of the co-leaders tearfully informed them that the only viable solution that he could see would be for the community to return to the Roman Catholic Church so that use of the building would be restored to the community. At this point in the proceedings, Fr. Luis was approached by an elderly widow who was in attendance and she presented him with her wooden spoon and told him that this was her contribution towards a new church building in which the community could worship as Anglicans. In the Kichwa culture a women’s wooden spoon is her most prized possession as it is used as her primary cooking utensil. For a widow in the Kichwa culture to give up her wooden spoon is equivalent to giving up all that she possesses. It is a huge sacrifice. The net result of her quiet and humble display of generosity was that other families quickly stepped forward and pledged support in the form of promises of bags of cement, bricks and aggregate for the new building. The net result of the widow’s courageous and generous contribution was the building the APA Missions Team was able to see during their visit. The land was acquired with the help of the Mayor of Guamote and the building at that time had four walls and no floor or roof. 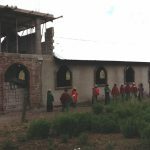 The community have stood up to the injustice of the Roman Catholic Church and have pledged their allegiance to the Anglican Church and placed their hope and trust in God to help them complete their church building. That faith and trust has now been realized. In the months since the APA Mission Team’s departure, the community have been hard at work. 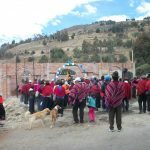 In anticipation of the promised financial help to complete the building, from Worthy Endeavors and from the APA, the community leveraged a loan to complete the work. The net result is the almost completed building seen in the latest photographs sent from Ecuador. 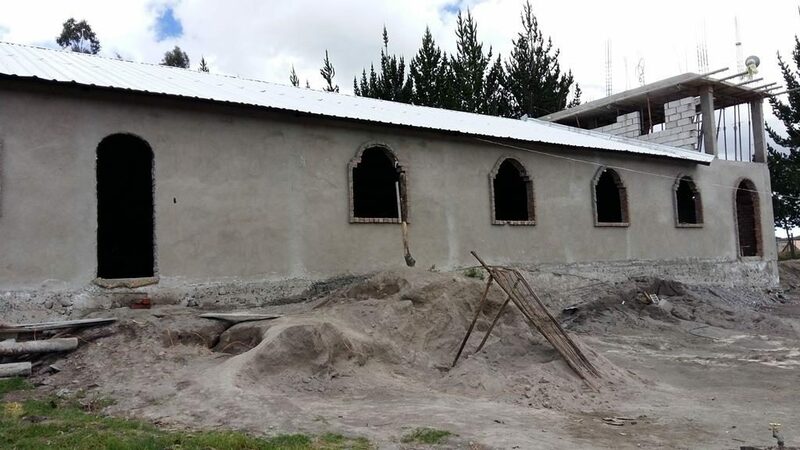 The interior of the church has been completed and they are in the process of finishing the entrance to the church which will have a second floor with two classrooms. In the future, if funds permit, they plan to build two towers, one on each side of the main entrance. The monies raised by the APA and Worthy Endeavors will cover the cost of the materials for the main building. All of the labor was provided by the community, thus greatly reducing the overall cost. 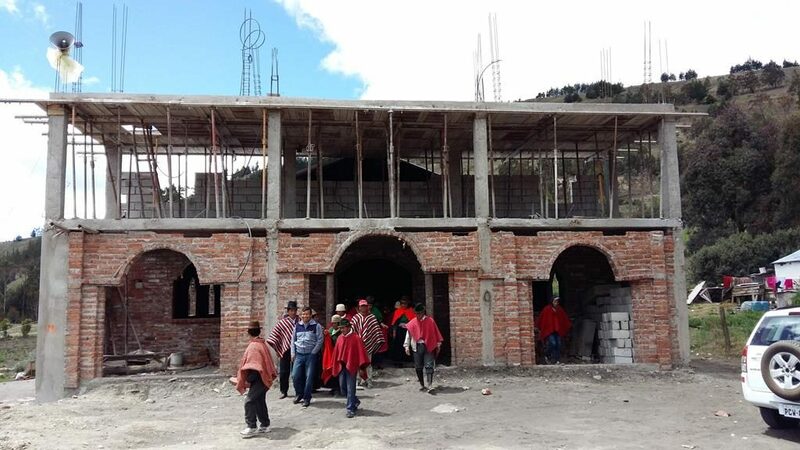 An APA Mission Team, together with a team from Worthy Endeavors, is planning to visit Ecuador from April 10 through April 16, 2018 to review the work and to inspect some property in the town of Guamote on which the IPAPAE plans to build a seminary and community center. 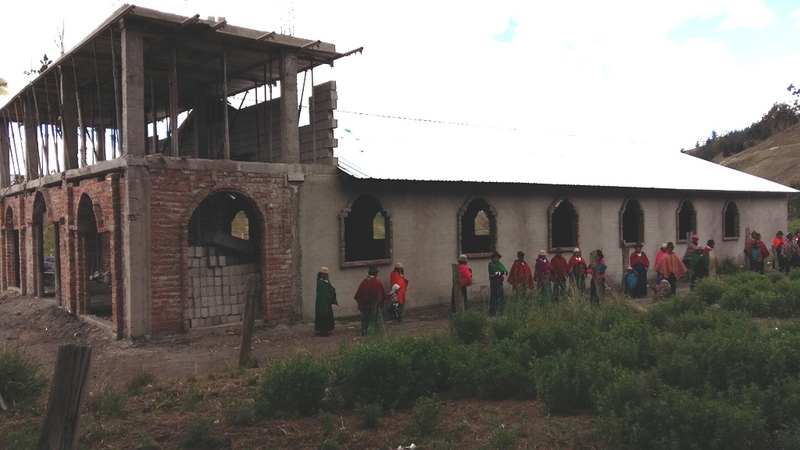 Please continue to pray for the courageous Anglican brothers and sisters in Chimborazo Province, Ecuador.